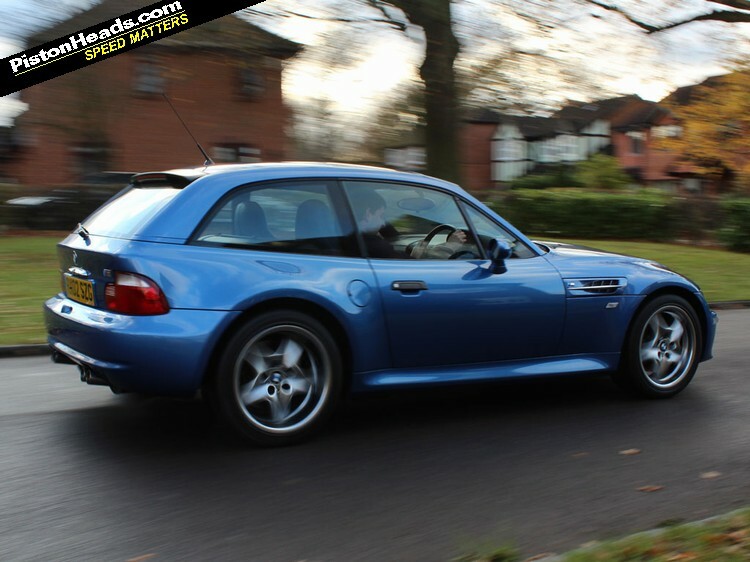 Contemporary cult classic or quirky oddball, the BMW Z3 M Coupe divides opinion. 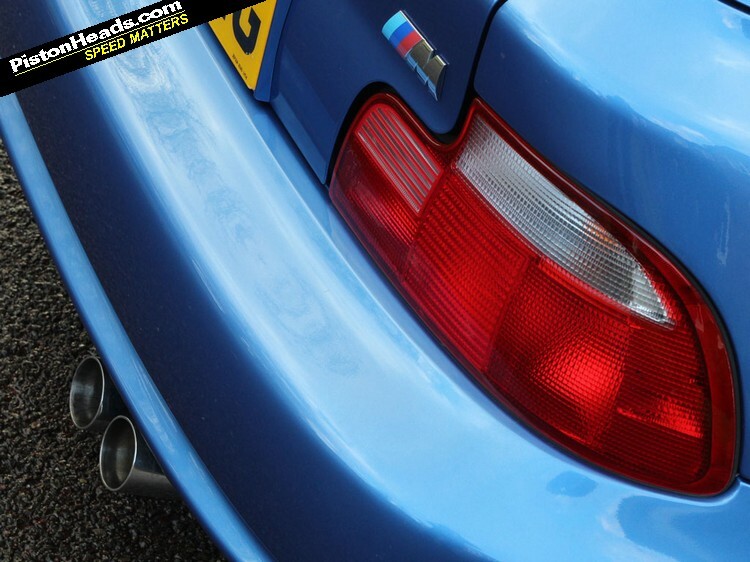 Whatever your view, there’s no doubt this M car provided a shot in the arm for BMW fans when it was revealed at the 1997 Frankfurt motor show. As BMW’s M Division pushed its cars ever further upmarket, the Z3 M Coupe and its Roadster sister model put scintillating performance first, foremost and fully at the top of the agenda. While the Z3 M Roadster was an obvious development, the Coupe was straight out of the left field. Burkhard Goschel was lead engineer and champion of the Coupe and he argued the fixed roof was necessary to make the chassis sufficiently stiff to deliver the desired handling for an M car. After much wrangling with the BMW board, Goschel got his way, though only by building the Coupe so it shared as many body parts as possible with the Roadster. 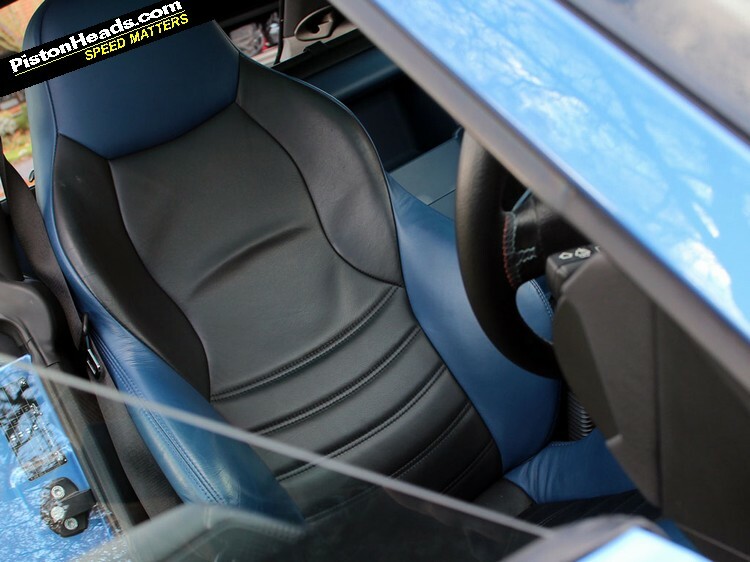 So, everything from the windscreen forward is interchangeable between open and closed versions, and the Coupe’s doors are also identical to the soft-top’s. Sales started in 1998, with a UK list price of £40,595, and production was completed at BMW’s factory in Spartanburg, South Carolina, making the Z3 M the first M car to be built outside of Germany. However, the engines and gearboxes were assembled in Germany and shipped as a whole to the USA for final assembly. 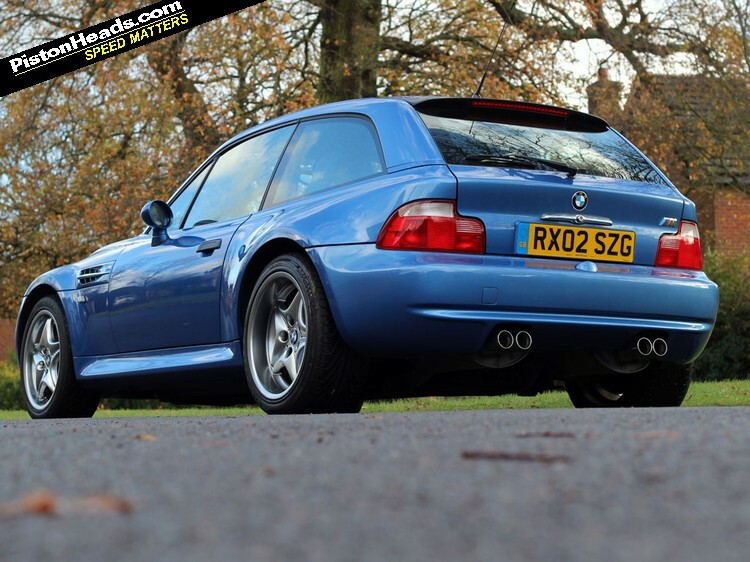 A revised version of the Z3 M arrived in 2001, swapping the E36 M3’s S50 321hp six-cylinder engine for the new S54 325hp unit from the then-new E46 M3. Each has its followers and fans, though performance is very much the same against the clock and both have a top speed limited to 155mph. The USA had its own version of the Z3 M using an S52 engine with 240hp, but this was not offered in Europe. 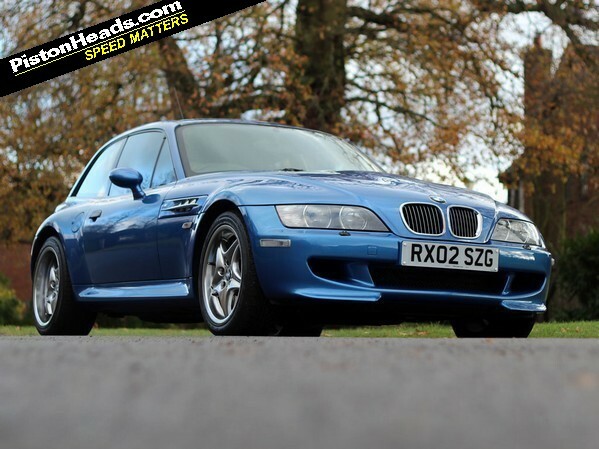 As the last Z3 M Coupe rolled off the line in 2002, this rare coupe is now at least a decade old and its popularity is undiminished among the faithful. This has kept values of the Coupe strong, with high mileage examples selling from around £9,000 and the best achieving £20,000. Roadsters start at £6,500 and top out at £13,000. With only 821 of the earlier Z3 M Coupe made in right-hand drive and a mere 168 of the later S54-engined model, rarity will only see Z3 M Coupe values increase. (Editor's note: We hope this new Z3 M Coupe 'knowledge bank' will attract contributions from current and past owners, and anyone who knows these cars well. If you have something to say that will help fellow PHers, please add your comments to the forum thread in the relevant section below. Ran a 321hp convertible and it was a lovely car in some ways - felt very old school, but didn't excite me as much as I thought it would. Watch the bills and the VANOS on the early engine cars, mine had been replaced but was starting to sound a bit odd again; while be prepared for bills comparable with a £40k car even though you may only pay 12. Lovely machines especially the M coupe's, my first Z3 was a M roadster but always wanted the M coupe but that one was out of reach then...then after that I bought a black M coupe then after that another black M coupe then after that another M coupe but that was a 2001 S54 with DSC M coupe 281 were build LHD the 325hp was because of missing 500rpm compared to the E46 M3. Eh? 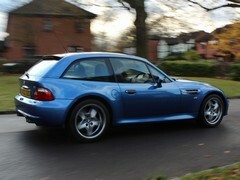 Should read BMW Z3 M Coupe 'knowledge bank' perhaps? 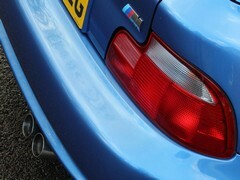 Z3 M coupe, how many of each version were produced? but sadly they used (all Z3) the old type rear suspension and the diff hanging on one ear on the left side, so its never in good balance roughly speaking, its pulling a bit harder on that side at the chassis and spring( when you look at it clearly), but the ride is very good, best M car, classic looks timeless and rare. 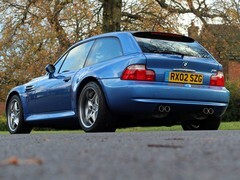 I've had many cars, this car (M coupe) is the best all rounder (when you don't have a family ) and money wise spoken ofcorse. secondhand rear lights red/white are sadly very hard to find...they are completely different then those from the roadster.